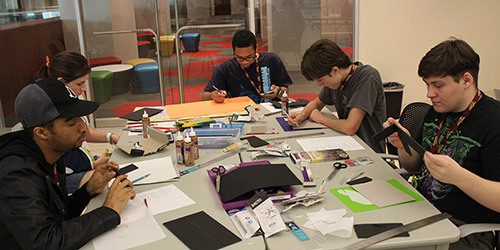 Join us for two camps filled with creativity and imagination! Join Broadway professionals for five days of intensive, conservatory-style theatrical training. And for the technically minded, spend a week with some of the best technical theatre artists Memphis has to offer. 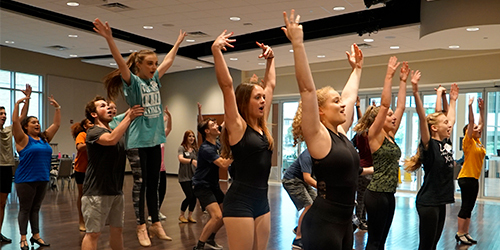 Join Broadway and Memphis professionals for five days of intense, conservatory-style, musical theatre training. Master classes will include voice and dance techniques, audition preparation/execution, headshot and résumé coaching, and more. Application is required. Spend a week with leading technical theatre artists and designers and learn what goes on behind the scenes in scenery, lighting, costumes, sound, stage management, hair and makeup, and more!